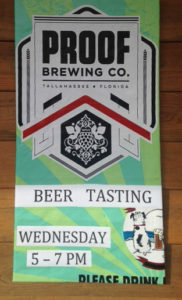 Wednesday, January 23, we will host a beer tasting with Proof Brewery out of Tallahassee. We will feature four taps of Proof beers. We will also be giving away some SWAG.